Often we block prosperity from our lives because we believe in scarcity. We’re taught there are a limited number of pieces to the pie and if we get more, others will have less. But everything is energy and the universe is infinitely abundant with energy, so there are no real limits to what can be created. All the exercises or visualizations I offer are to help you stimulate your imagination and shift your thinking. They’re to get you out of old, stuck ways of looking at life. If you can expand your mind and be playful, you can change your thoughts and therefore your experiences. What we believe and imagine will become so. Here is a fun visualization for manifesting abundance. 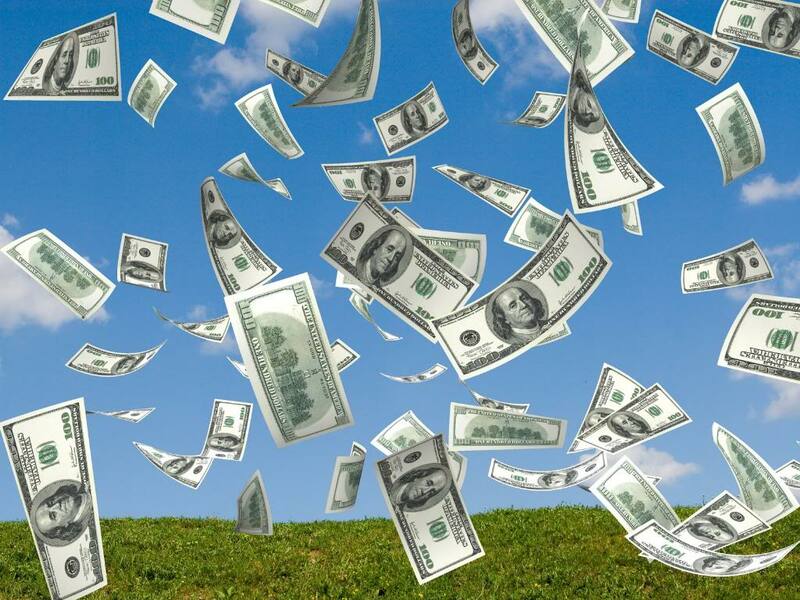 Imagine money floating down from the sky and landing in big piles all around you. See money in any denomination you want forming out of pure energy and falling from the sky. Every element in the natural world is at its core composed of subatomic particles and space, which are ultimately composed of pure energy. So just envision this energy taking the form of money. Then, see it flowing down around you. This way, you’re not using your thoughts against you by imagining you have to work hard for money or that you are taking it away from someone else; you’re creating this money out of pure energy. It may take a while before you retrain yourself to believe money could be created in different ways or that abundance could come to you from anywhere and in any form. We’ve been taught that money comes from physical printing machines and we must do something to earn that money, and furthermore, according to the mechanistic laws of classical physics, this is how it appears the world works, so we believe it. But our beliefs have created that reality. Learning to use the principles in quantum physics instead so we can create differently may take some getting used to, but it’s a valuable endeavor and the outcome will be worth the effort.